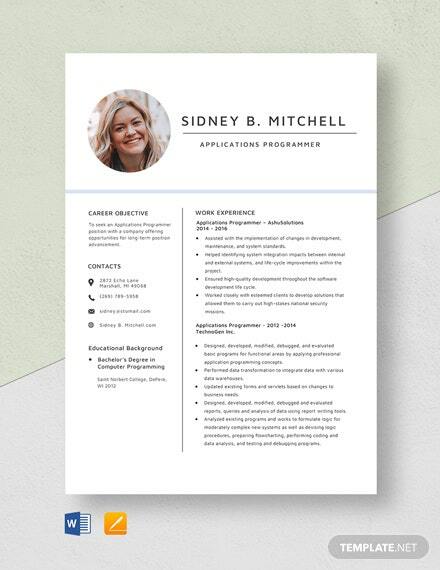 Are you in need of a stunning and effective resume but lack graphic design skills? 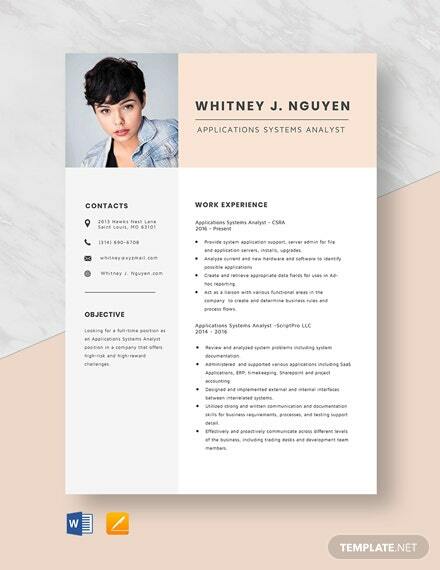 This Applications Systems Analyst Resume Template is a quick resolution! 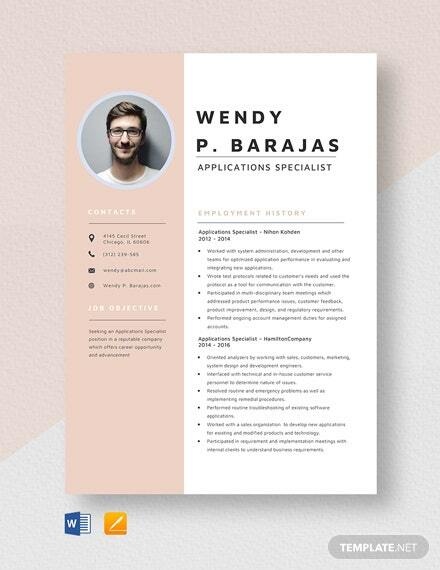 It?s easy to edit even when you?re not +More a pro. 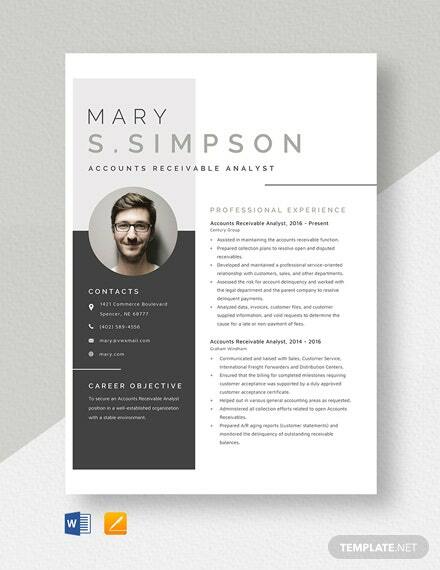 You can modify the contents and replace them with your own. 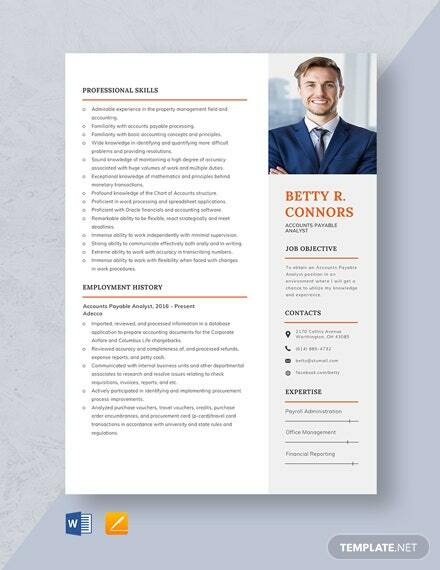 Add a photo of your choice and incorporate other elements that are necessary for your resume to highlight your branding, accomplishments, and work history. 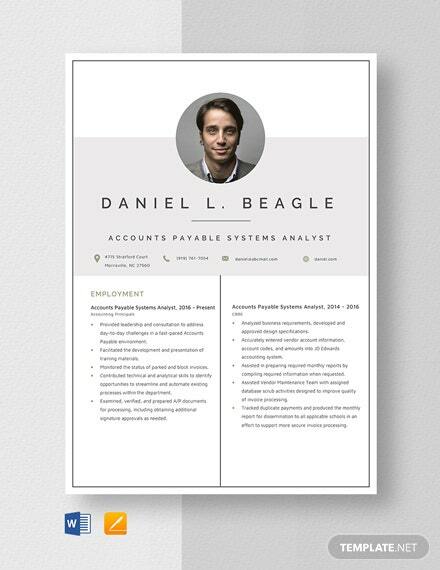 On top of that, you get instant downloads anytime, anywhere onto any devices in varied file formats. 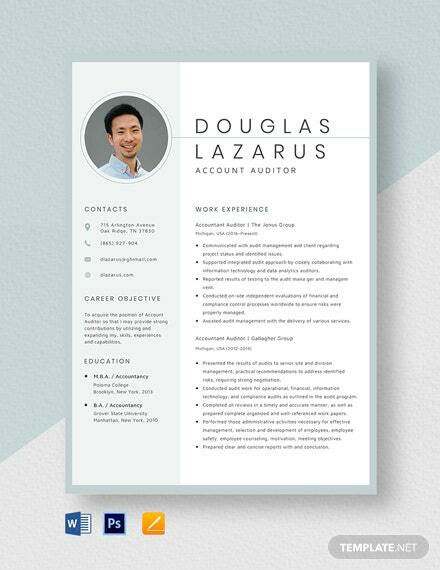 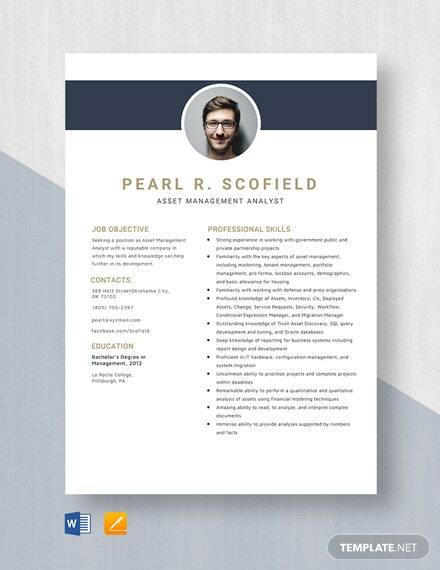 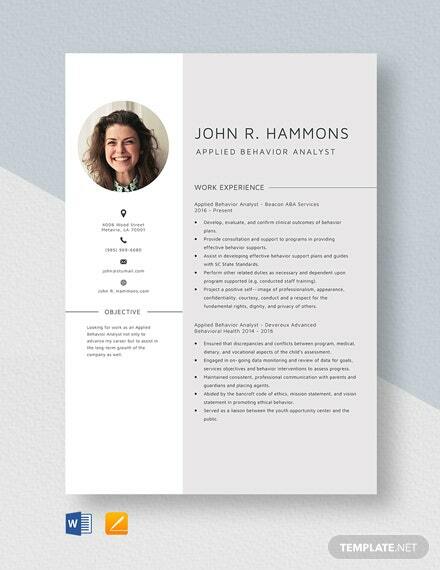 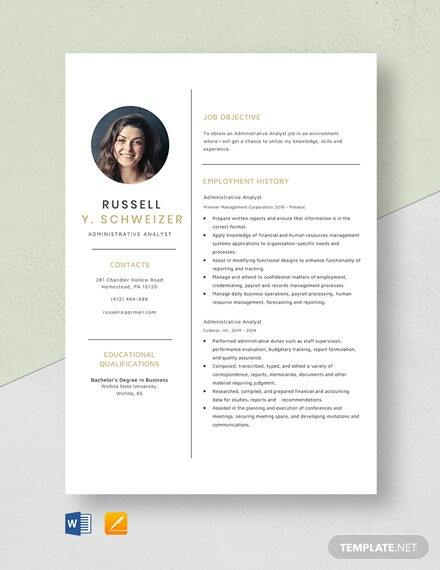 This is a job-winning resume template that you have to grab today!